From the bottom of the ruck: Sad farewell to Luke Fitzgerald, and the Champions Cup draw! Sad farewell to Luke Fitzgerald, and the Champions Cup draw! The big news this week, apart from the Champions Cup draw, is the retirement of Luke Fitzgerald at just 28. His career was completely blighted by injury, he had so much more to give, and even now could have played for another 5 years. I guess size was never on his side which meant he was more likely to get injured, and let’s face it, guys just play too much rugby these days. Reducing the size of the Campions Cup is a start, but how about making it the PRO10? The Italian sides don’t offer anything, and it doesn’t seem to be building up their game either. How about a tier two league with Italy, Georgia, Sapin, Rumania etc, and making it competitive. Going on the draw then, there’s no easy pools are there? 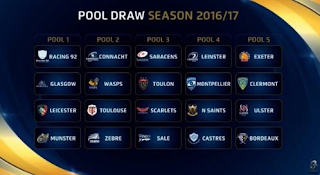 Leinster have Monpellier, Northampton Saints and Castres, which looks doable if heavy duty. Not going to be playing any small guys! 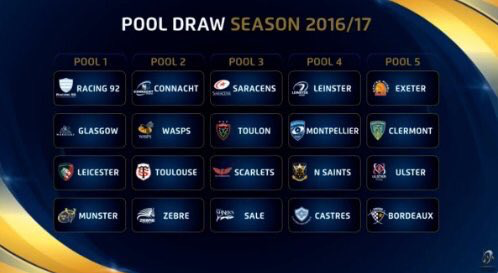 Connacht have Wasps, Toulouse and Zebre where moneybags Wasps will be the big challenge. Munster have Racing, Glasgow and Leicester, so tough enough, and Ulster have Clermont, Bordeaux and Exeter, again very tough with Clermont being the big boys. Ireland lost, but still made us proud! Joe Schmidt throws a few big surprises! Epic performance from Ireland! Superlative alert!